Handling age-related farsightedness for people who suffer from nearsightedness could be quite challenging. Now we have an alternative option for exchanging two pairs of glasses. 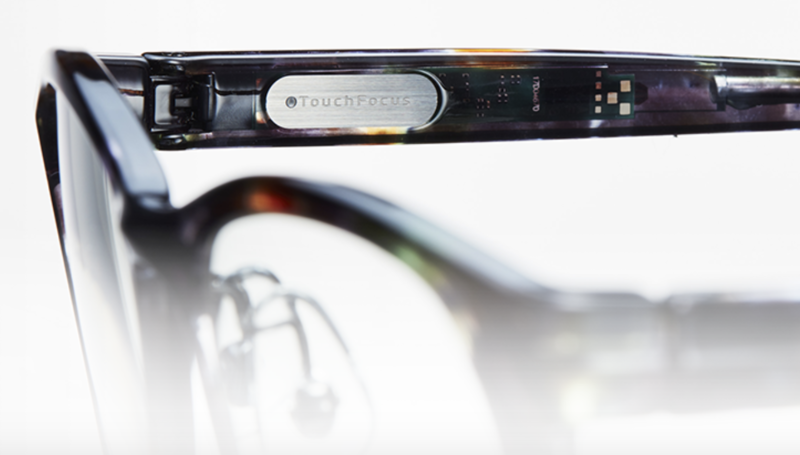 Touch focus is a pair of glasses featuring a switch that allows the user to adjust the glasses accordingly. 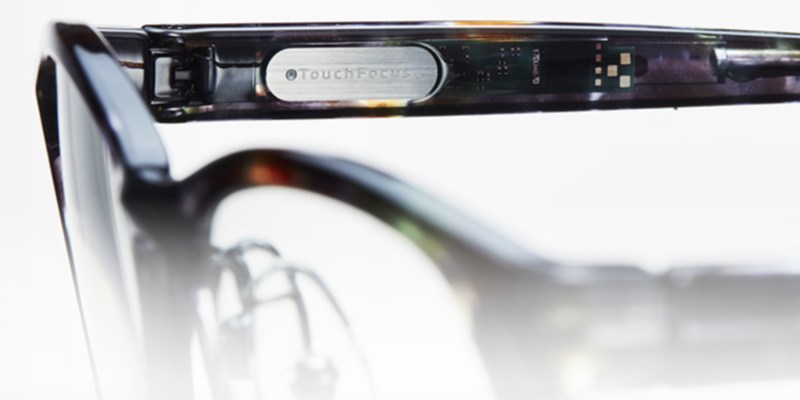 The company claims they use a liquid crystal lens for the lower half of the glasses, and the user could change the focus mode with a simple touch. The liquid lens has nine layers. 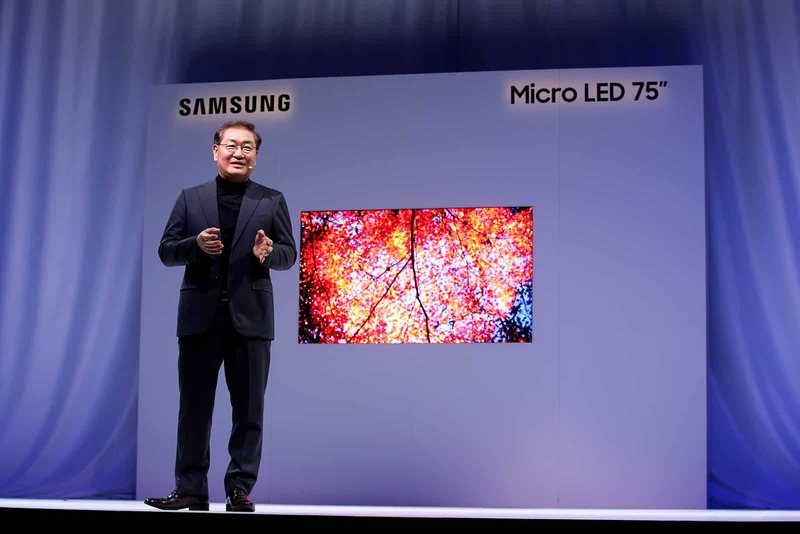 The company managed to make the focus mode change by manipulating the refractive index electronically. The liquid crystal molecules become a vertical array when the switch is on, and the refractive index of the liquid crystal changes. It takes one second for the lens to adjust to different modes. The battery is USB charging. It can be used continuously for about 10 hours with one full charge. If you are average one hour a day on the read mode, it can last a full week. The product is currently only available in store in Japan and it costs more than $2000. So if you really need one click here for their store locations. The product would require some fine adjustment, so you will have to go to their stores for that. They are currently only operating in Japan. You can find the locations by clicking the highlighted link in the article. Hi Amer, they are only available in store in Japan currently. bu gözlüklerin fiatı nedir nasıl temin edebilirim ben Türkiyede Adana ilinde yaşayan şeker hastası biriyim yardımcı olursanız sevinirim..
You can click the highlighted link in the article. They only have the website in Japanese, and the entire development is under Mitsui Chemical.